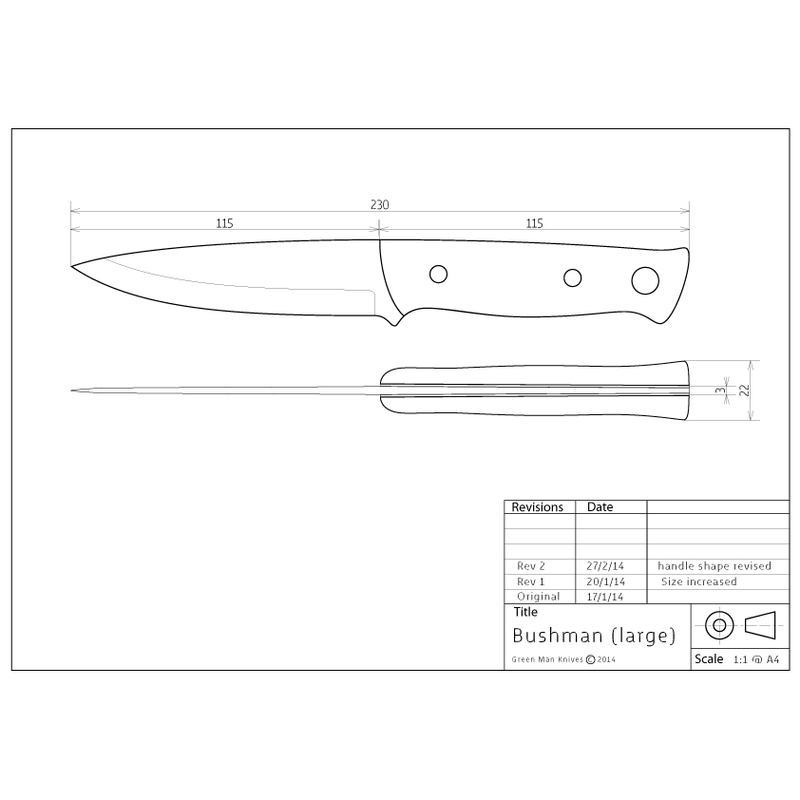 One of my most popular designs intended for bushcrafting and wild camping. Full tang blade of RWL34 stainless knife steel. 3.2mm thick. This model is un-tapered. Handle is of green canvas micarta on yellow fibre liners with my unique ‘Hallmark’ mosaic pins in yellow detailing and a lanyard tube. Sheath is hand dyed and hand stitched using yellow thread to match the knife detailing. The leather used is vegetable tanned, 8oz full grain tooling shoulder - the best leather available for the job!